Global Mission pioneer Bumchin Erdenebat and his wife, Bolormaa, live on top of one of the many bare hills in Mongolia’s capital, Ulaanbaatar. The entire hill is covered in brightly colored houses and traditional yurts. The steep, deeply rutted roads, which are nearly unnavigable in the winter, seemed nearly as slippery with mud in the summer rain. When I arrived, the Sabbath School program was just beginning. The yurt church was plain white on the outside, but when I stepped through the wooden door, I was greeted by an ornately carved wooden structure. An octagonal skylight let in a soft glow that illuminated the interior beautifully. A flat screen TV and sound system for playing music occupied the front area. A dozen children in Pathfinder uniforms were singing at the top of their lungs, and more and more children as well as adults streamed in through the door as the program progressed. Bolormaa told Bible stories that held the attention of the children—and adults as well. Even though she spoke in Mongolian, of which I understood not one word, it was obvious to me that she has a gift for ministry. That’s why, when I asked Bumchin how he started planting this church, I was not surprised when he said that his wife did it. Bumchin and his wife, Bolormaa, are gifted church planters, making an incredible impression in their community. 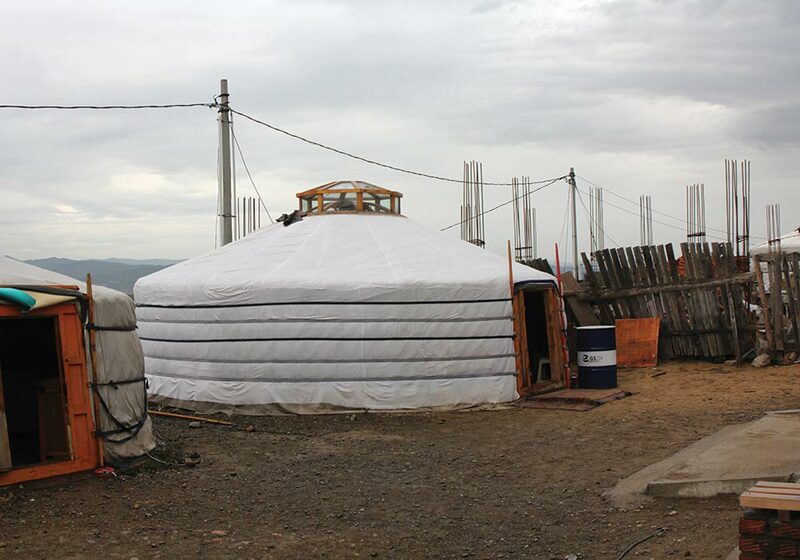 This traditional Mongolian yurt serves as a church for the new congregation started by Bumchin and Bolormaa. Both children and adults pack into this small yurt every Sabbath to sing and hear Bolormaa tell Bible stories. The joy on the children’s faces tells everything one needs to know about the effect that these church planters are having on their neighbors. It started back in 2012. He had a well-paying job in human resources for a construction company. Bolormaa was at home with the children, and she wanted to create a better community for them among the children who lived nearby. So, she started a children’s Bible time, which quickly became popular among both the children and the adults because of her enthusiasm, creativity, and wonderful storytelling. 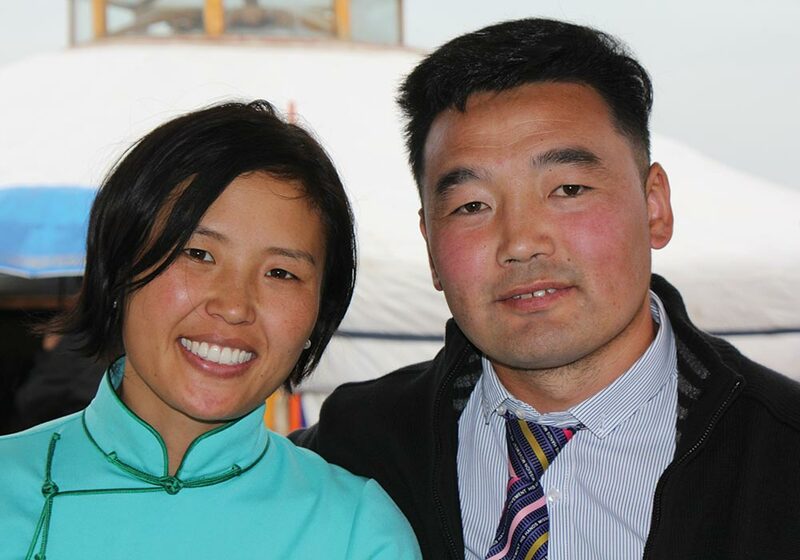 The couple used to attend the Central Adventist church in Ulaanbaatar. As their neighborhood children became more a part of their lives, they took them along. That soon became a problem, however, because the car could fit only so many children. The solution, they decided, was to open a branch Sabbath School in their home. Quickly the weekly services filled, and the parents often attended with their children, which led to a full-fledged Pathfinder club and then to complete church services. 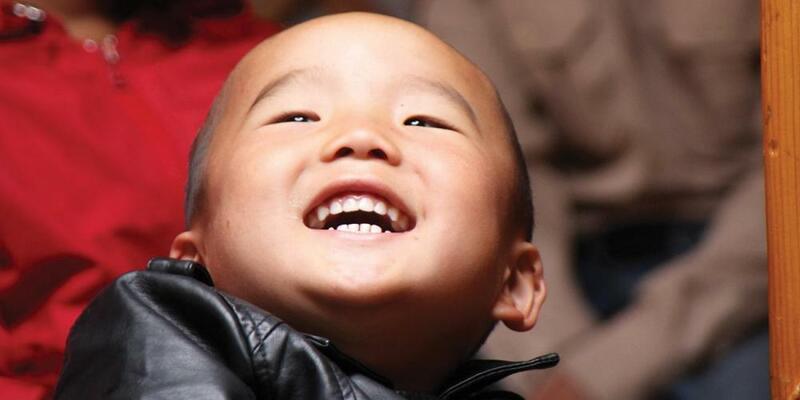 The Mongolia Mission president noted what was happening and invited Bumchin to quit his job with the construction company and become a Global Mission pioneer. Now, Bumchin spends his days in full-time ministry to the community around him. 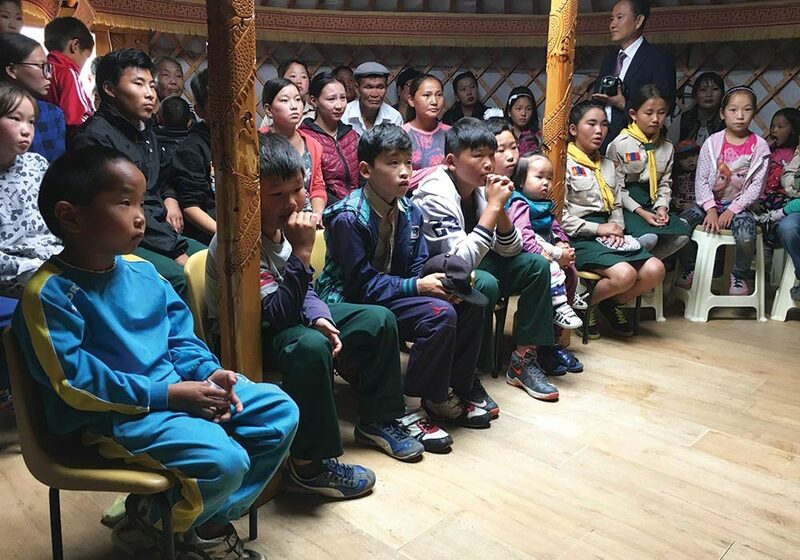 Bumchin and Bolormaa are developing their property into a community center with a basketball court, a playground, and a traditional Mongolian yurt that serves as a Sabbath School, church, and overall meeting place. And they have many plans to continue expanding. Since Bumchin and Bolormaa started their work in the community, they have baptized 47 people. They are a model church-planting team, connecting with their community in positive ways, meeting felt needs in the community, and then inviting them to accept Jesus as their Savior. 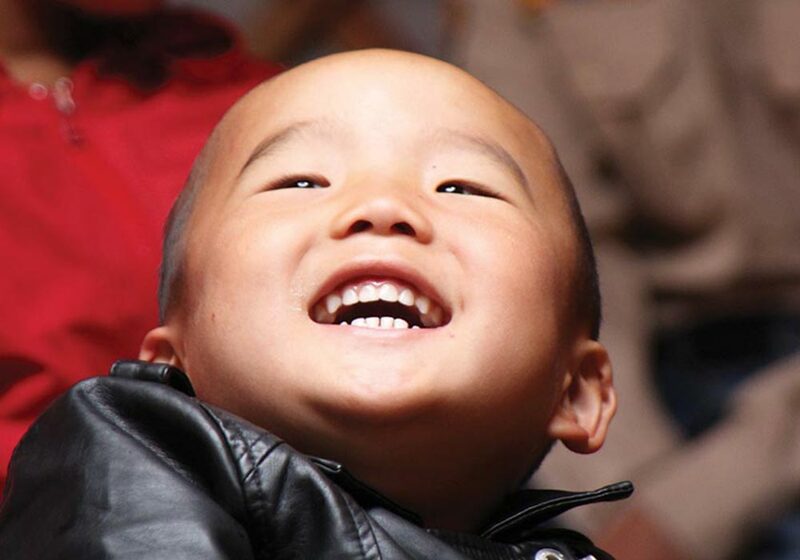 The people are responding, and the church is growing in Mongolia.